On 1st and 2nd November 2017 the ATG held its 1st workshop at KALRO Headquarters the event was attended by 12 participants from 4 organizations that was KALRO, JKUAT, CABI and RCMRD. This website was developed and is maintained to directly provide information on open data initiatives in the EAC region and beyond. The KAINet open data platform was developed and is maintained to respond to the calls for coherence in the management of agricultural information in order to enhance information exchange and access. The development platform includes open data concerns and links with other open data platforms to improve access to agricultural research data with a view of coping with data management challenges faced by participating institutions. KAINet open data platform advances collaboration and innovation around data technologies and data ecosystem. The platform provides an environment that allows data to be freely accessible to all participating organizations and beyond. Further on 5th December 2017 the ATG held its 2nd workshop at KALRO Headquarters the event was attended by 16 participants from 9 organizations that was KALRO, JKUAT, CABI, RCMRD, UoK, UoN, CANIS, KENET and FAO. During this meeting the ATG conducted a webinar and agreed on MOU for major participating organizations. The ATG held its first webinar on ATG and the KAINet open data platform for participating institutions. The aim was to promote the ATG activities and discussion possible avenues for partnerships. The event was moderated by Martin Parr, CABI and Suchith Anand of GODAN Secretariat. On 11th November 2017 CODATA ATG held the 1st hackathon at Jomo Kenyatta University of Agriculture and Technology (JKUAT). The event was attended by 30 youth and moderated by the ATG. The objectives were to; build innovative mobile and web applications that make access and consumption of research data easy for the benefit of society; encourage societies to open their research data for the public consumption and use; showcase open data capability in providing innovative solutions to societal challenges; engage partner/s to support the open research data initiative. A memorandum of understanding (MoU) was entered into and executed by and among: The Ministry of Agriculture Livestock and Fisheries (MoALF), Kenya Agriculture & Livestock Research Organisation (KALRO), Jomo Kenyatta University of Agriculture and Technology (JKUAT), Nairobi, Kenya Forestry Research Institute (KEFRI), University of Nairobi, Centre for Agriculture Networking and Information Sharing (UON, CANIS), Kenya Education Network (KENET), The Local Development Research Institute (LDRI), The Regional Centre for Mapping of Resources for Development (RCMRD), The Centre for Agriculture and Biosciences International (CABI), and Food and Agriculture Organisation of the United Nations (FAO). The ATGs main objective is to provide requisite information for biennial review discussions and for policy and program formulation on improving the quality, reliability, management and accessibility of agricultural research data in African Countries and beyond. Further to strengthen the collection, management, and availability of agricultural statistics data in African Countries based on already developed strategic plan for strengthening agricultural and rural statistics (SPARS) and within Comprehensive Africa Agriculture Development Programme CAADP processes. The ATG aims to bring together stakeholders in agriculture to develop and implement strategies for knowledge sharing, improving the visibility and accessibility to agricultural data and science in Africa. This will bridge the widening gap between research and practice commonly inherent in difficulties of access, analysis, and publication of the African agricultural research knowledge and statistics data needed for the achievement of Sustainable Development Goals (SDGs). 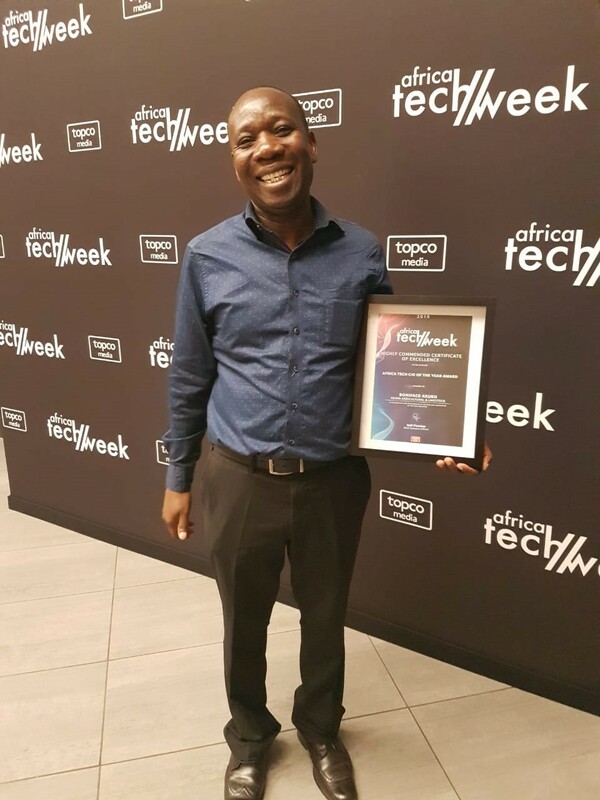 Boniface Akuku Chairman CODATA ATG won Africa Tech CIO of the Year Award in Cape Town, SOUTH AFRICA. The award was given on 6th March 2019 where by Mr. Akuku beat other 10 finalists from other countries in clinching the Africa Tech Week Awards. The awards focus on educating African countries on the challenges and opportunities to be gained by drafting appropriate plans and policies to catapult them into the digital and technological revolution. The awards recognise individuals and companies that have demonstrated excellence in the area of innovative product development. The occasion was a great celebration for CODATA ATG Kenya and African Continent for on the great achievement. On 3rd March, 2018 lead by Prof. Joseph Wafula Director Institute of Computer Excellence and Open data (iCEOD) and Executive Member of the CODATA the ATG conducted the 1st Mapathon. The event marked the 7th International Open Data Day. The Nairobi Mapathon 2018 was organized around open mapping. The participants collaboratively contributed on developing open data and visualization application in two key areas; Open data for Agriculture; developed a recommender system/application for KALRO centers, mapped the agriculture supply chain products, services and technologies using open data. The app and a web visualization tool helps citizens to get information on KALRO centers, services, products and technologies and offers recommendation based on location of the farmer or citizen against closet KALRO center. Open application in Health; developed a blood donation center/s open access application. Mapped the blood donation centers available in Kenya for citizenry. KALRO mobile applications are innovatively developed to enable smallholder farmers use digital technologies to boost their farming ventures because they are able to make informed decisions based on current expert information. 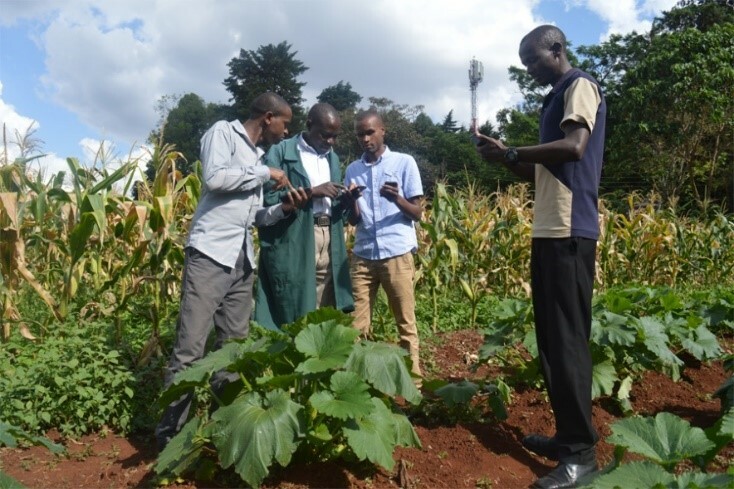 Mobile apps bridge the information gap and offer a fast and convenient way for small holder farmers to access agricultural information and network. KALRO digital technologies have been presented widely and have received high appreciation worldwide. KALRO and the World Bank in October last year, launched the Agricultural Observatory Platform Ag. Observatory Platform at a cost of KES 100 million to enable agricultural institutions access to high resolution geospatial agro-meteorological data to help policy makers and farmers optimize their decision making. The Ag. Observatory platform is the 1st of its kind in Africa, and will be replicated in other countries in Africa upon its success. 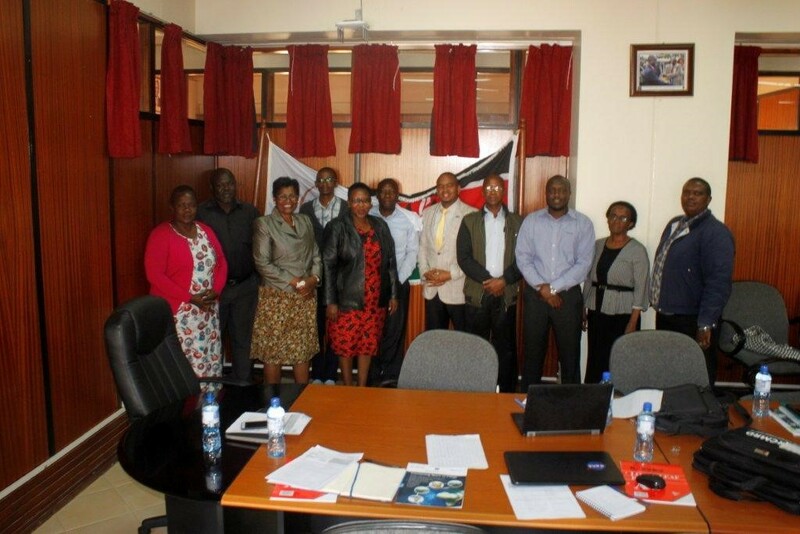 KALRO and Kenya Meteorological Department (KMD) are responsible for piloting the platform to support agro-weather, market, climate and advisory services. In the months of May and July 2018, GODAN Action conducted an online course on Open Data Management in Agricultural and Nutrition. The online course was aimed at various audience groups; Infomediaries, which includes ICT workers, technologist - journalists, communication officers, librarians and extensionists; Policy makers, administrators and project managers and researchers and scientists. CODATA ATG members, staff from participating organizations and partners took up the training and majority who met the required criteria completed the course successfully. CODATA ATG wishes to extend appreciation to GODAN Action who made this training possible. 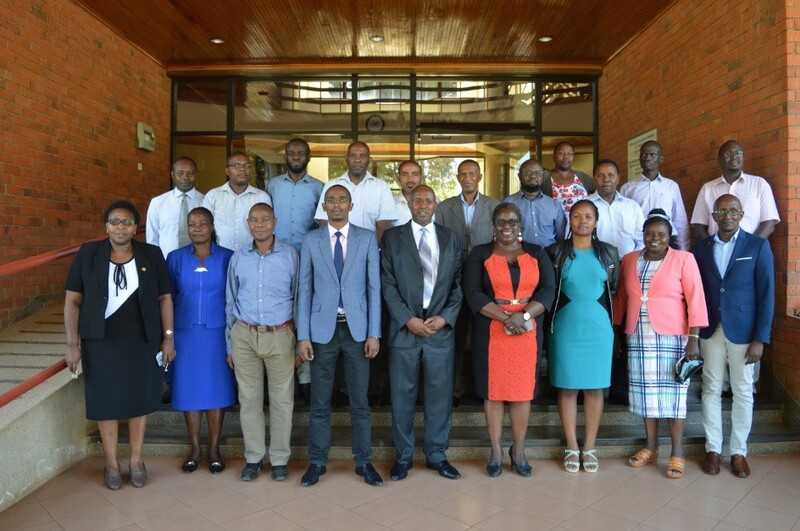 On 4th and 5th February 2019, Kenyan researchers met and formed a forum to spearhead establishment of open data to generate information and services for smallholder farmers in agriculture and nutrition. Participants at the meeting noted that making data more open, easily available and accessible accelerates innovation and generates economic and social benefits. Openly available weather data could provide farmers with early warnings against adverse farming conditions. The forum will included agricultural research scientists from KALRO and Universities conducting agricultural research for development, climate and metrological data managers and climate scientists from Met departments, Kenya drought management authority, agricultural technical assistants and extension officers working on crop and livestock data collection and modelling, ICT experts working on knowledge data, knowledge management platforms and social innovation application development, agricultural extension officers providing information to farmers, young farmers’ associations and farmer based working groups. The team plans to integrate weather data and agricultural research data using ICT tools and techniques. The proposed open data will incorporate adequate skills and ICT platforms to analyze large amounts of open data on crop, pasture, soil and climate. The information will be the aggregate downscaled for on-farm application. The meeting was sponsored by the Technical Centre for Agricultural and Rural Cooperation (CTA) and KALRO and technical facilitation was done by GODAN Action Africa and CODATA members. On 17th December 2018 CODATA ATG members graced the GODAN Networking Meeting and Dinner at the Reginal Centre for Mapping Resources for Development (RCMRD) complex Nairobi, Kenya https://www.rcmrd.org. The event was attended by; GODAN partners, CODATA ATG Members and their colleagues. They discussed their work and future collaborations towards open data for agriculture and nutrition. The SciDataCon2018 and International Data Week (IDW) 2018 was held on 5-10 November 2018 in Gaborone, Botswana. The event was hosted by the Botswana Open Science and Open Data Forum. It was co-organized by the International Science Committee (ISC) World Data System (WDS), the ISC on Data for Science and Technology (CODATA), the Research Data Alliance (RDA), University of Botswana (UoB) and the Academy of Science of South Africa (ASSAf). The conference was attended by data scientists, researchers, industry leaders, entrepreneurs, policymakers and data stewards from all disciplines and geographies across the globe. The theme of the conference was ‘The Digital Frontiers of Global Science’. CODATA Agricultural Task Group (ATG) on agriculture data, knowledge for learning and innovation group managed by Kenya Agricultural & Livestock Research Organization (KALRO) and Jomo Kenyatta University of Agriculture & Technology (JKUAT) conducted two successful sessions with over 14 papers presented by members. The ATG managed to establish new networks globally and show case open data initiatives in the region. One of the major achievements for the CODATA ATG on Agriculture Data, Knowledge for Learning and Innovation Group was that the Task Group proposal was presented to the 31st CODATA General Assembly in Gaborone, Botswana, 9-10 November 2018 by Mr. Boniface Akuku, KALRO the CODATA ATG Chair. This proposal was accepted by the members at the 31ST CODATA General Assembly. The Executive Chair for the Task Group was re-elected, Prof. Joseph Wafula Muliaro, Director, Institute of Computer Excellence and Open Data (iCEOD), JKUAT. Finally on behalf of CODATA ATG members of the authors wish to thank the following; KALRO management for continued support and resources provided. The CODATA, ASSAf and AOSP who sponsored three of the ATG members and covered costs for accommodation, local and international travel. Kenya Education Network (KENET) sponsored two of the ATG members and covered costs for accommodation, local and international travel. CTA and CABI provided resources and opportunities for CODATA ATG members. To all thank you for the opportunity we had to be part of this very important event to engage and meet with so many people promoting data in various ways.